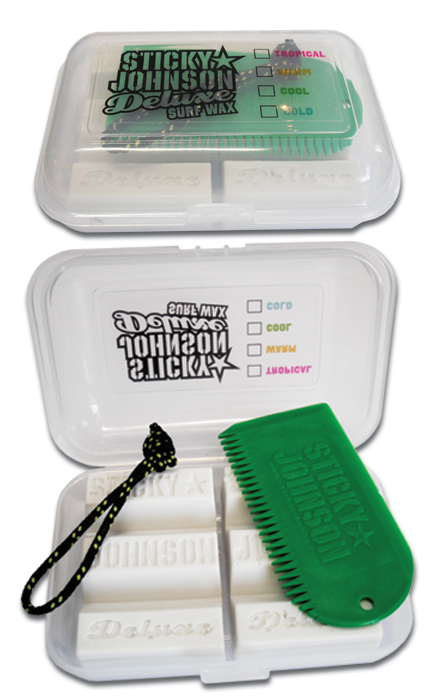 The Sticky Johnson Wax Pack is great for storing your favorite SJ wax. It’s the perfect gift and a great travel item.The hard shell plastic case comes with two blocks of tropical, cool, cold or warm SJ wax, SJ wax comb and a leash string. Another 100% New Zealand Made Sticky Johnson Product. 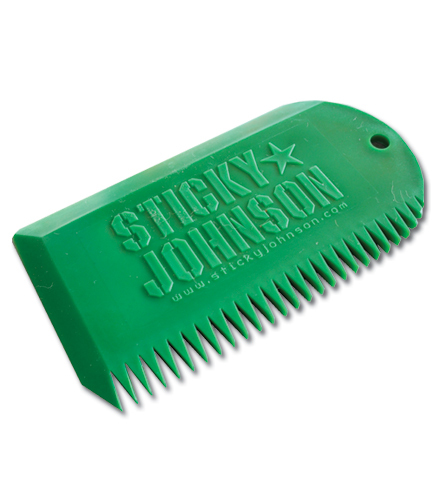 Classic design wax comb for scraping wax off your board.